Get in touch with us. Swiftly. Total control until hell freezes over. Project BriefFireDaemon needed to redesign their current website in order to provide an enhanced user experience and refresh the old look and feel. The new design should create within the visitor a very high confidence level not only with the company, but also with the software products it sells. 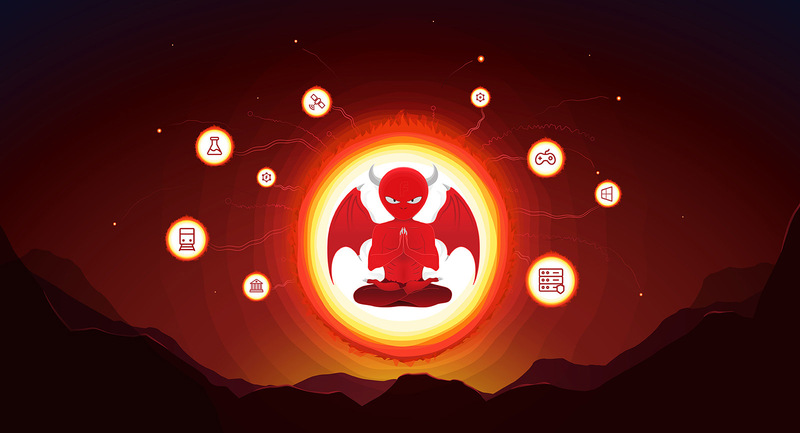 We've come up with an entirely new way of presenting FireDaemon's products taking the strategy a step further. Redesigned storefront to match the strategy behind. 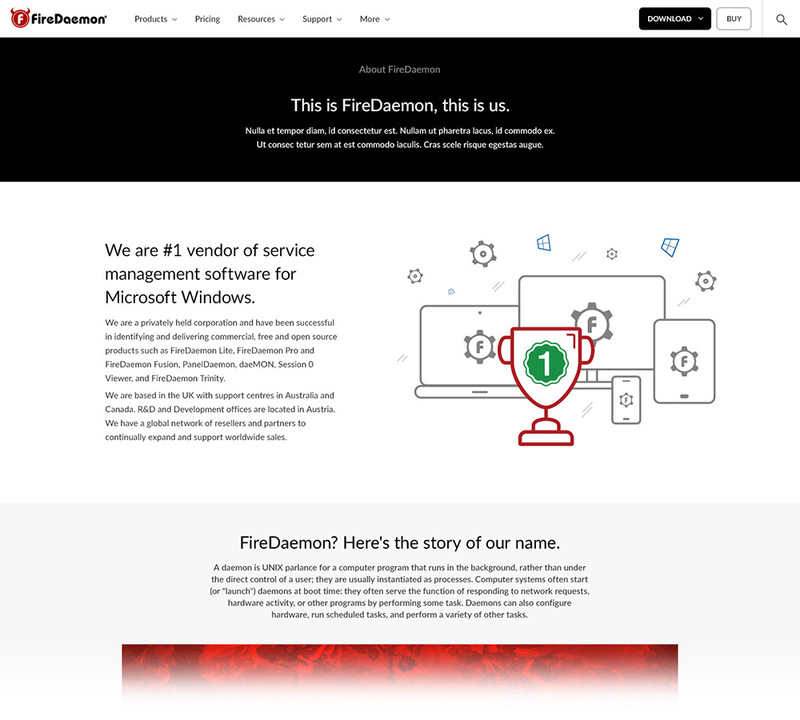 We've provided FireDaemon's corporate website with a new design, look and feel, and structure. During the design and ideation process, we've taken into account the business goals, client requirements, user needs, search engine optimization, and more importantly we've found the perfect balance between the specified conditions. The process behind the character creation. Before adding colour to the picture and other details, we created some illustration outlines in order to see with the client if we have found the right concept. Once the client is happy with the concept, then we start applying the colour, illustrating the environment for the character and other important details so we can represent the company itself through illustration. Final illustration of the initial key visual concept. When it comes to illustrations, icons, or other graphic elements, we are always concerned about the quality and scalability. For this reason we use vector graphics as much as possible for almost all computer-generated imagery. 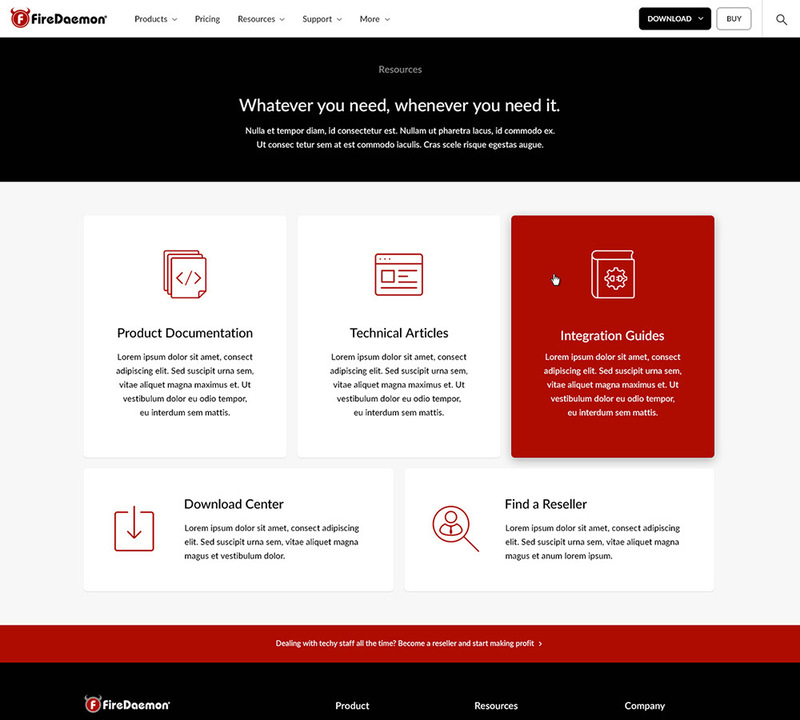 A complete product page with interactive navigation. 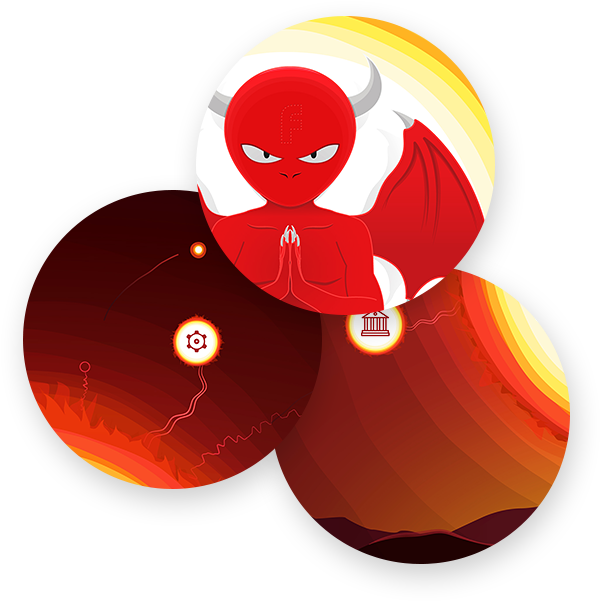 Simple and effective FireDaemon website icons. 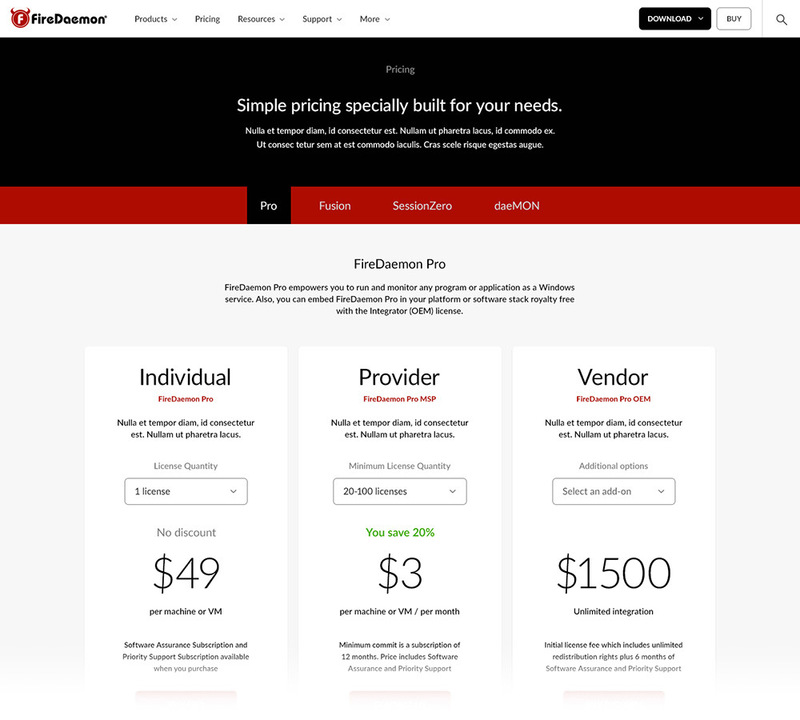 We commissioned Dezea to redesign the front ends of our flagship desktop and web based products. I was very impressed and pleased with the results. Dezea worked closely with our development team to deliver not only a very modern and highly intuitive designs but also to build our web based front ends. I wouldn't hesitate to recommend Dezea if you are looking to engage with a highly professional UI/UX team delivering very high quality and modern results. Need help to build something fantastic? In case you’re not sure where to start, let us find it for you.